To do this we are announcing our March For A Cure campaign. For every PowerWalks classroom observation that is conducted during the month of March, LYS will donate 5¢ to the American Cancer Society. But that’s not all. For every campus that makes the PowerWalks Cancer Fightin’ Hero List for March, LYS will donate an additional $10.00 to the American Cancer Society. But that’s not all. For the top PowerWalks Cancer Fightin’ Hero Elementary School, Middle School, Alternative School, and High School in March, LYS will donate $50.00 to the American Cancer Society, in the name of the school. But that’s not all. For the overall top PowerWalks Cancer Fightin’ Hero School in March, LYS will donate $100.00 to the American Cancer Society, in the name of the school. But that’s not all. 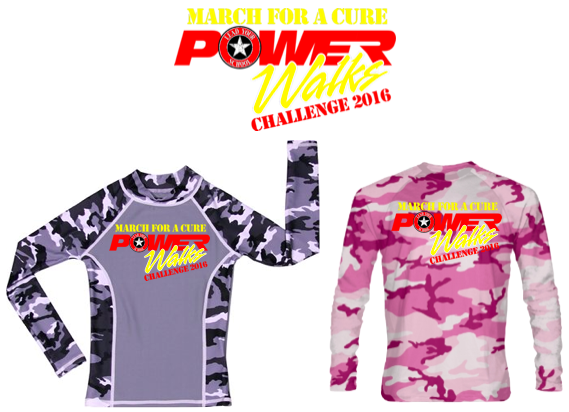 Every PowerWalks observer who conducts 200 or more classroom observations between today, February 22, 2016 and March 31, 2016, LYS will send you a March For A Cure t-shirt (pictured below). So what are you waiting for? Go visits some classrooms and join LYS as we March For A Cure!